2.2 Why do we have landmarks in New Eden? 2.3 What do you need to see the landmarks in New Eden? Duration: 45 minutes to an hour Location: Docked up safely in any station. Most people who play EVE focus on the ships, and the other players - and with good reason. 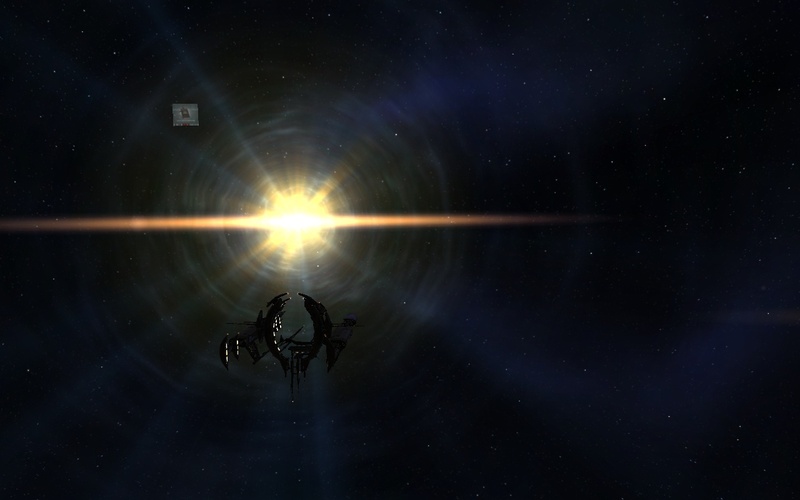 EVE is rich in its own history of the players who have forged the game that we play today. But it’s easy to forget that there’s an entirely different side to EVE: a side rich with the storyline surrounding the intricate history of New Eden, forged by both capsuleers and non-capsuleers. Throughout New Eden, bits and pieces of this story can be found throughout the cluster. This lecture is meant to introduce you to some of the more interesting historical sites that can be found in New Eden. Welcome to this class on the various landmarks around New Eden and the best ways to visit them! This course is designed for those who are interested more in the background and lore surrounding New Eden, as well as those interested in what all of those beacons scattered across the cluster may be about. Over the next hour or so, we'll discuss some of the interesting sites you can visit in New Eden - and why you might want to go see them. Why do we have landmarks in New Eden? Actually the year 24,000 something. Some civilizations lived on, others died out. The landmarks around the cluster give the history both of these events and many, many more. Act as a reminder of this history of the entire cluster. What do you need to see the landmarks in New Eden? Before we get to the actual sites, I wanted to say a bit about what skills and ships you may want to go explore these sites. I’ll split it up into high sec, low sec, and null sec areas. For many of these sites, just about any ship will do. Some combat may be needed in some of these sites though, so some investigation before hand may help. Worth it though! Let’s you warp while cloaked. You could run into no one along the way, or you could run into gangs. Hard to predict, unfortunately. Probably the most difficult sites to visit, but there’s not too much out there. This is super expensive, though, and can run about a billion isk. Warp to planet, then to gate. I would NOT recommend this for newer players, but feel free to talk to me if you want to give it a try. This page was last modified on 4 February 2017, at 08:59.